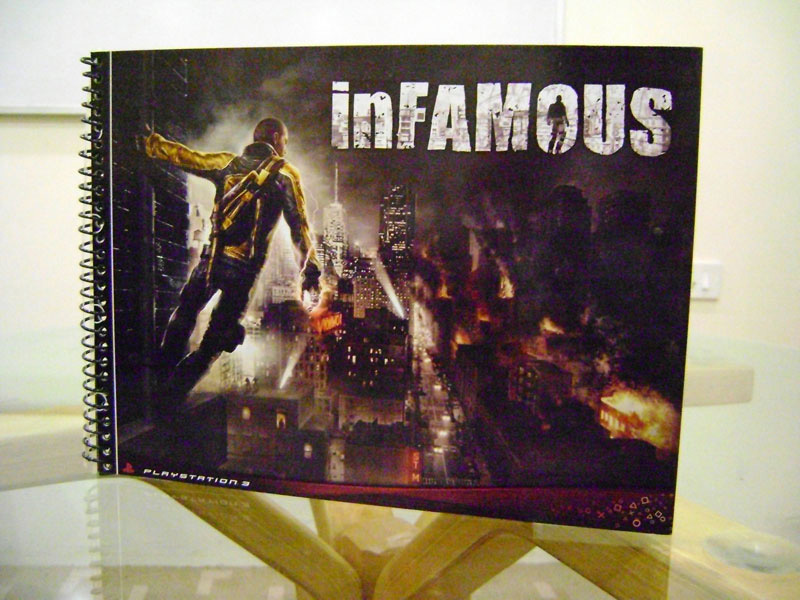 .. inFAMOUS: I am inFAMOUS Shirt ..
.. inFAMOUS 2: Promo Cube .. 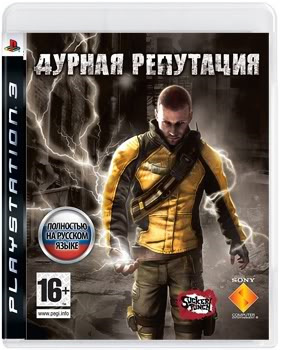 I found this listed from an Italian seller one day, but I was unable to nab it before it wasn't available anymore. 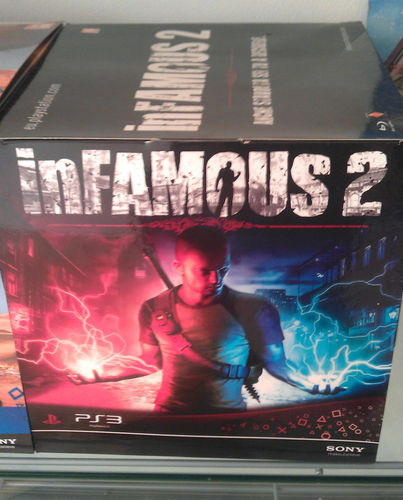 It's kind of neat and has some inFAMOUS 2 artwork on it. 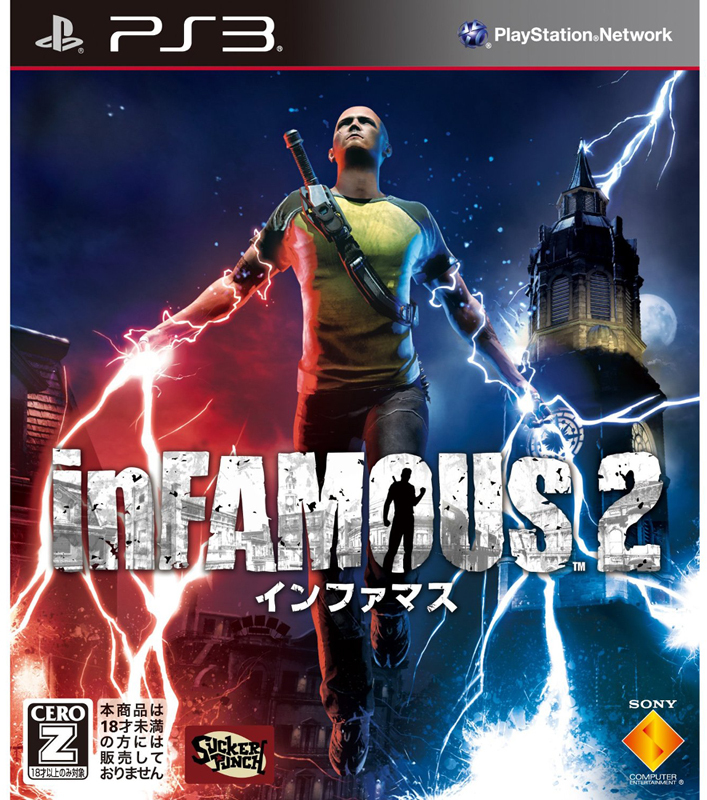 .. inFAMOUS 2: Japanese Version ..
Just found out this is the box art on the Japanese release of inFAMOUS 2. 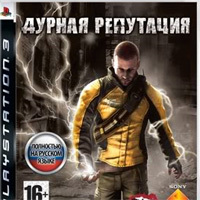 It's super awesome! I'll be picking up one of these sooner or later. It's not my highest priority item since it's a general release and I am sure I will be able to pick it up for quite a while. 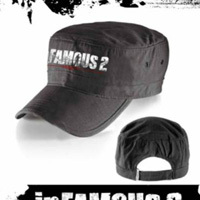 .. inFAMOUS 2: Italy Pre-order Hat .. So there is apparently a line of Italy exclusive pre-order items. 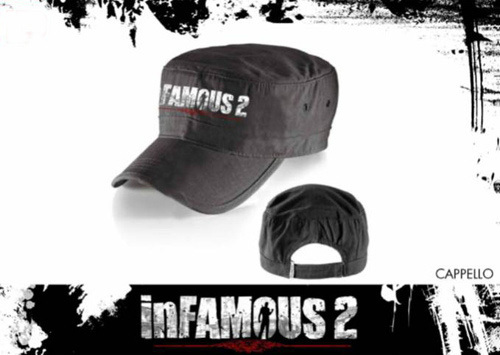 This hat was gotten by pre-ordering inFamous 2 at BlockBuster in Italy. 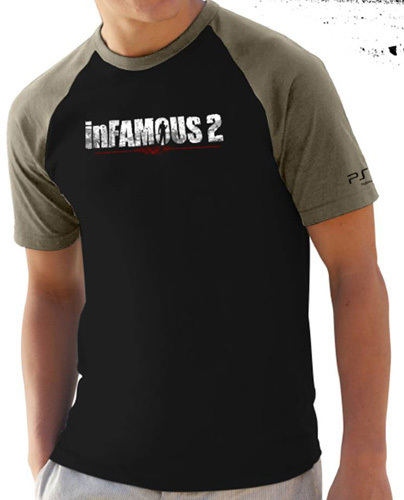 .. inFAMOUS 2: Italy Pre-order Shirt .. So there is apparently a line of Italy exclusive pre-order items. 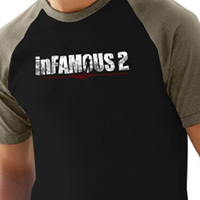 This shirt was gotten by pre-ordering inFamous 2 at OpenGames in Italy. 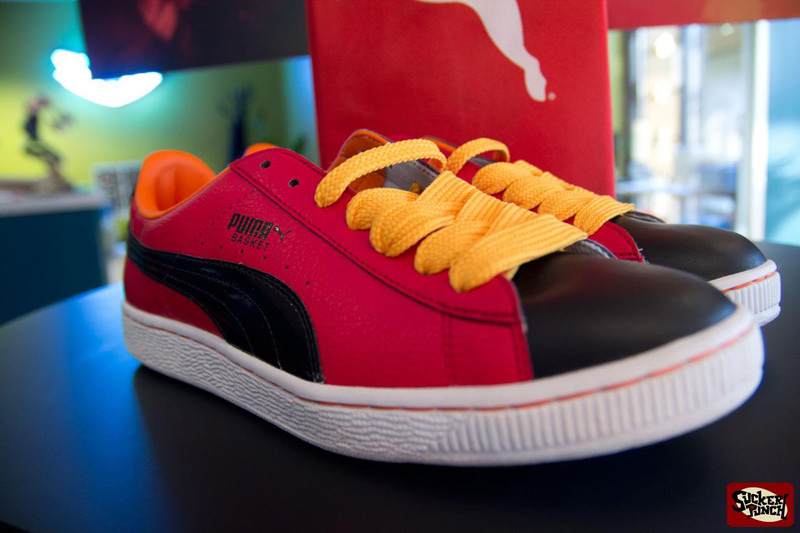 .. Nix Puma Shoes ..
A custom pair of PUMA brand shoes done up in Nix style. 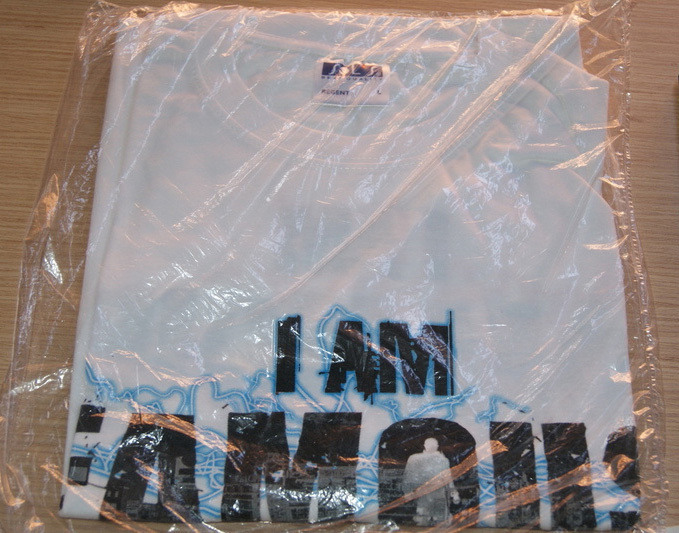 I am not sure how one goes about getting a pair of these, but I think they are just some kind of contest promo. 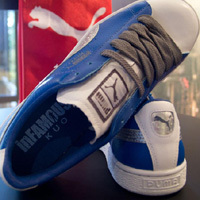 .. Kuo Puma Shoes ..
A custom pair of PUMA brand shoes done up in Kuo style. 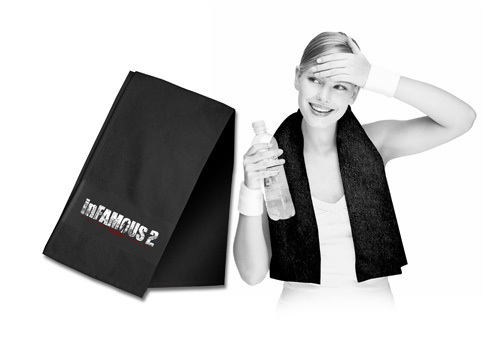 I am not sure how one goes about getting a pair of these, but I think they are just some kind of contest promo. 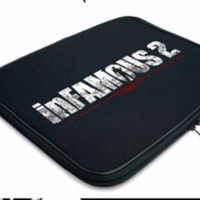 .. inFAMOUS 2: Italy Pre-order Laptop Case .. 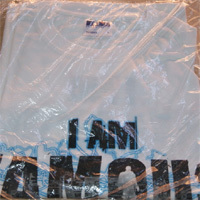 So there is apparently a line of Italy exclusive pre-order items. 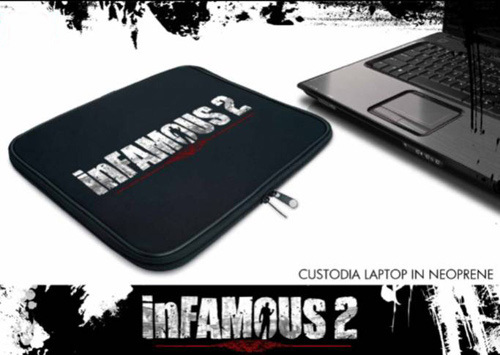 This laptop case was gotten by pre-ordering inFamous 2 at Fnac (??) in Italy. 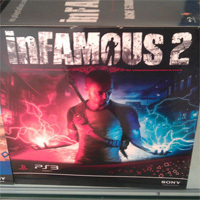 .. inFAMOUS 2: Italy Pre-order Towel-thing .. 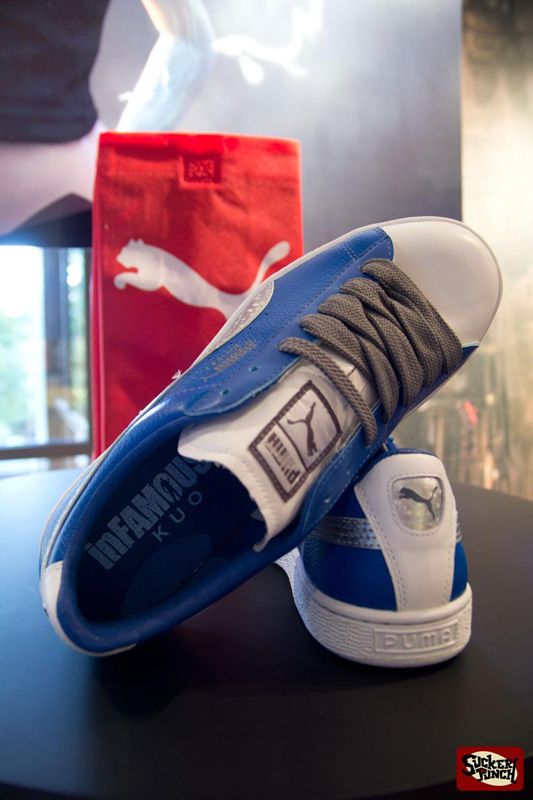 So there is apparently a line of Italy exclusive pre-order items. 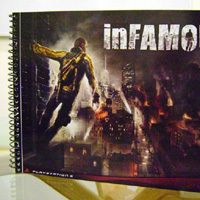 This towel was gotten by pre-ordering inFamous 2 at La Feltrinelli in Italy. 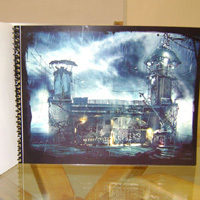 I do not have much information on this artbook. I found it cached on google. 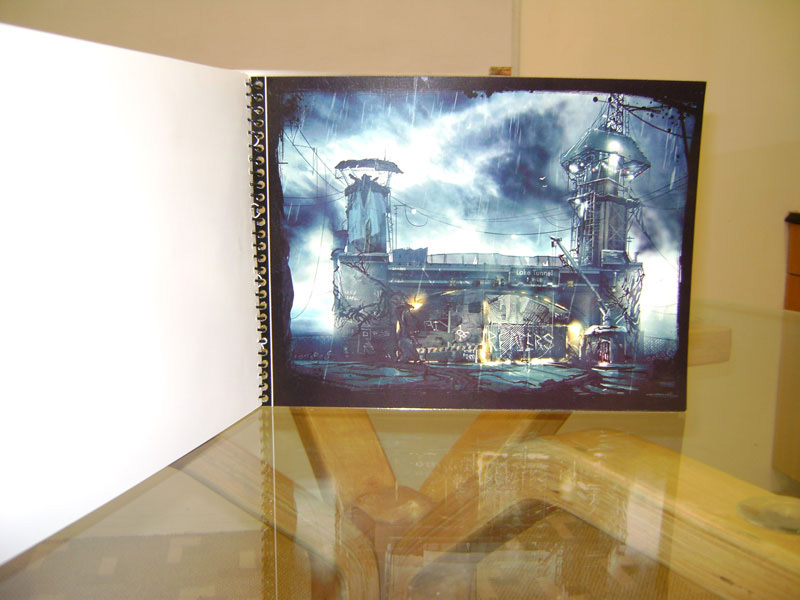 It might be the same one I already have, but I notice this one is spiral bound, so it leads me to believe it is different. I have no idea where to get one though. If anyone has anymore information on this at all I would appreciate it!! .. This Picture of Zeke ..
Ok, this is crazy, I know. 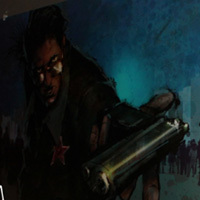 This picture is from some photos Sucker Punch Productions posted on the Playstation Blog of their new studio. 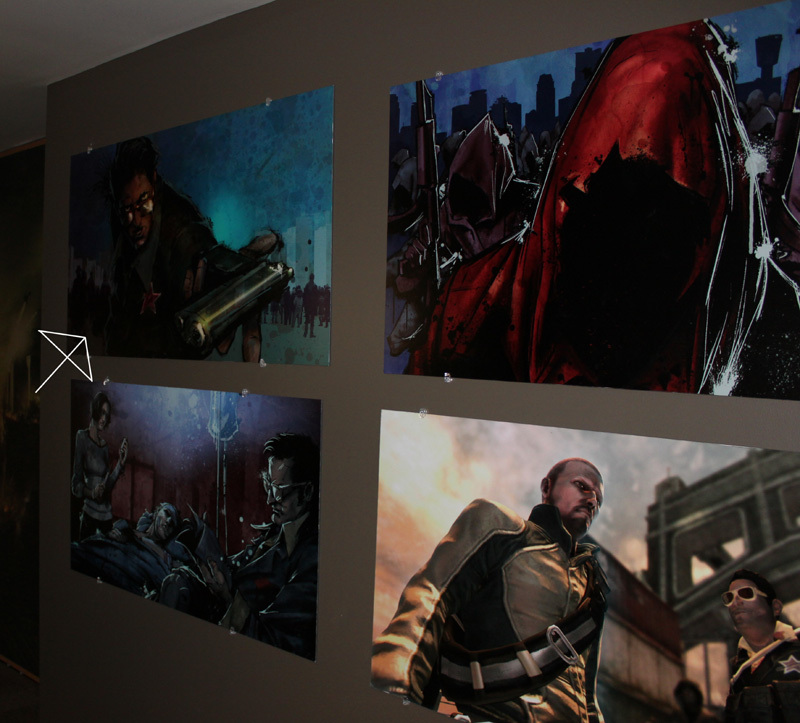 I noticed this picture of Zeke on the wall and uh, it's really awesome. I don't think I've even seen a picture of this picture outside of this. It would be suuuuuuper awesome to have something like this, for reals, but to make it more realistic i would even go for a digital copy of this picture. It is just cool ok. I think it would make a nice desktop on my PC. 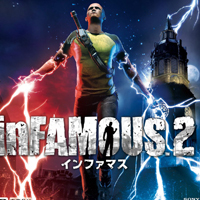 .. inFAMOUS: Russian Language Version ..
.. inFAMOUS 2 Giant Lamp .. This is probably even more hilarious than the photo of Zeke I have on this list. Even if this was offered to me for free I probably couldn't take it because it looks massive. 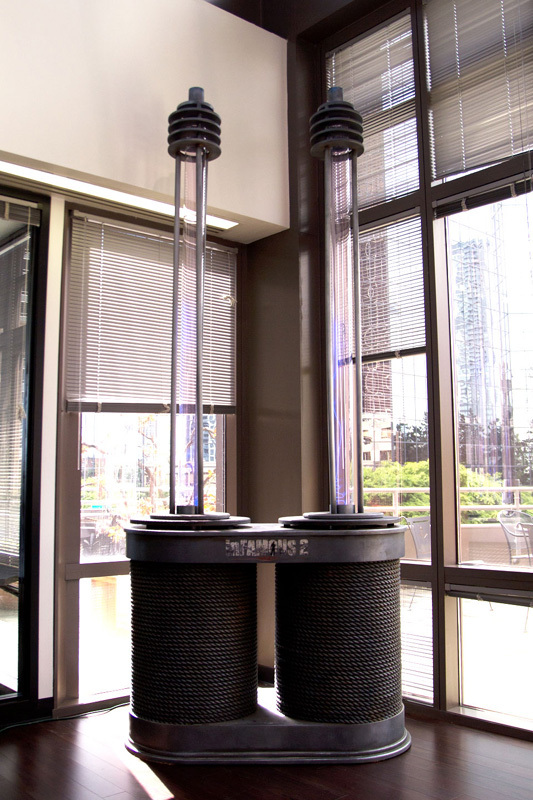 This is also probably the only one that exists, and its in Sucker Punch's headquarters. If I ever had the chance though, I would love to get a photo in front of it. 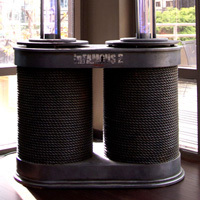 So maybe that can be considered my ultimate wishlist item.